The only driver awarded 20 out of 20 stars in the 2019 Golf Digest Hot List. Callaway's Epic Flash Driver employs a new Flash Face Technology, created by Artificial Intelligence, to help golfers get more ball speed for more distance. The only driver awarded 20 out of 20 stars in the 2019 Golf Digest Hot List. 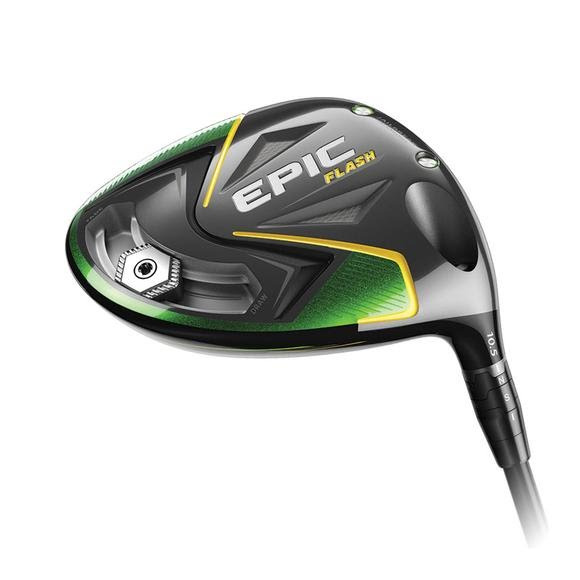 Callaway &apos;s Epic Flash Driver employs a new Flash Face Technology, created by Artificial Intelligence, to help golfers get more ball speed for more distance.